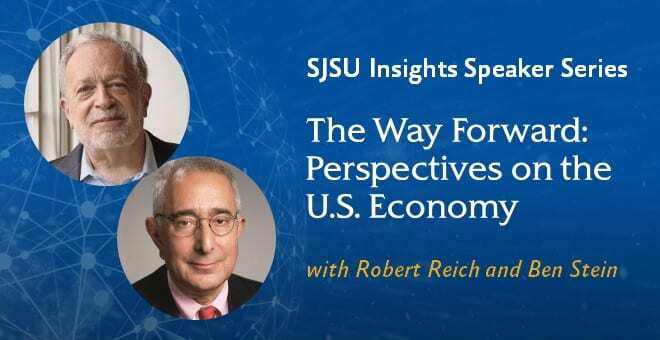 San Jose, CA – Economists Robert Reich and Ben Stein will participate in a powerful and entertaining conversation on the future of the U.S. economy during San Jose State University’s Insights Speaker Series, “The Way Forward: Perspectives on the U.S. Economy.” Moderated by SJSU President Mary A. Papazian and underwritten by the Valley Foundation, this event is the second in a new university-wide speaker series that exposes the San Jose State community to a variety of perspectives in the areas of economics, business and global affairs. Robert Reich, the author of 15 books and now a professor of public policy at the University of California, Berkeley, has served under three national administrations, most recently as Secretary of Labor under Bill Clinton. In 2008, TIME magazine named him one of the 10 most successful cabinet secretaries of the past century. Ben Stein has an eclectic background. He was a speechwriter for Presidents Nixon and Ford, an actor and game show host, a columnist for the Wall Street Journal and New York Times, and the author or co-author of more than 30 books. He is currently a regular commentator on CBS Sunday Morning, Fox News and CNN. For more information, visit the Hammer Theatre website. Lucas College and Graduate School of Business students celebrate following commencement in 2017. SAN JOSE, CA – San Jose State University (SJSU) is pleased to announce that the Lucas College and Graduate School of Business has been named as second among public universities and No. 8 overall on MONEY magazine’s list of the top 10 colleges for business majors in the nation. Earlier this year, MONEY listed the university overall as fourth on a list of most transformative colleges based on alumni earning high salaries while incurring little debt. After analyzing 727 colleges and universities for its list of top universities in August, MONEY magazine decided to dig deeper into the data for majors with the highest number of graduates. The top 10 colleges for business majors list was created to help future CEOs and budding entrepreneurs find colleges that stand out for accounting, finance, marketing and management classes. MONEY looked at schools that perform best in terms of affordability, educational quality and alumni success, then looked at how many business degrees are awarded each year as well as earnings reported to Payscale.com within three years of graduation. 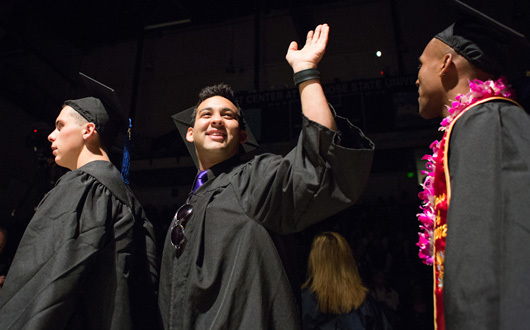 The Lucas College and Graduate School of business graduated 1,000 students in spring 2018. MONEY listed average starting salaries for recent graduates as $59,900. SJSU is one of two public universities to make the list that includes elite private institutions and one Ivy League campus. 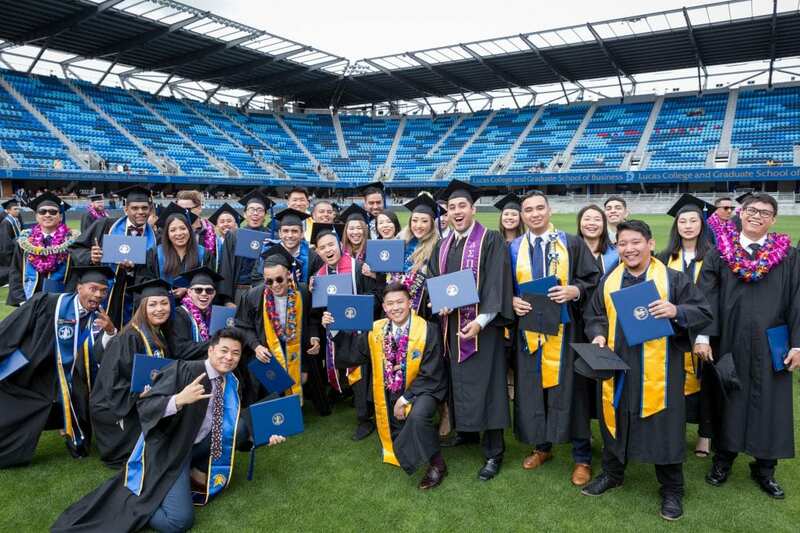 “Thanks to its Silicon Valley location, business grads from SJSU regularly have a foot in the door at Google, Intel, Oracle and other competitive technology firms,” MONEY said. 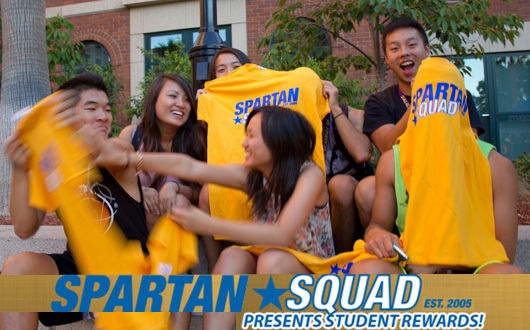 The Spartan Gold Team (courtesy of the Lucas College and Graduate School of Business). Facing tough competition, a four-student team from SJSU walked away with a first-place trophy at the CFA Institute Investment Research Challenge for the Northern California region. They were up against teams from the Stanford MBA program, the Wharton executive MBA program, Santa Clara University, the University of California, Berkeley, and the University of San Francisco. The win was a major accomplishment,” said Stoyu Ivanov, associate professor of accounting and finance, Nancie Fimbel Investment Fellow, and assistant director of the Center for Banking and Financial Services. 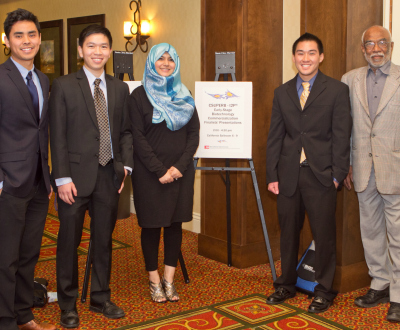 Two teams from SJSU took part in the competition March 5 in San Francisco’s financial district. 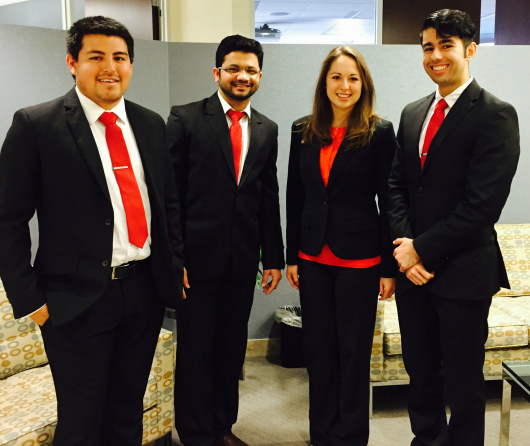 Earning the top spot at the competition was the Spartan Gold Team made up of Joel Gonzales, ’15 Finance; Shayan Khales, ’15 Accounting; Valeriya Razdyakonova, ’18 Corporate Accounting and Finance; and Nirav Shah, ’15 MBA. A second SJSU team, the Spartan Blue Team, consisted of Aaron Foster, Tarriq Hansrajh, Michael Farrell and Mark Smith, all finance majors. 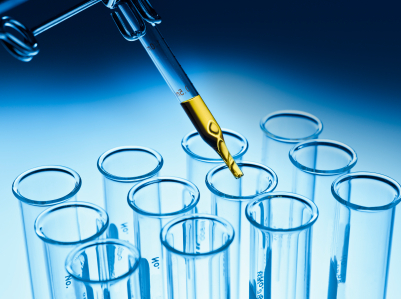 The teams were required to research and analyze Gilead Sciences, a Bay Area biotech company. As part of their pitch, they wrote a paper, gave a presentation, and participated in a question-and-answer session. 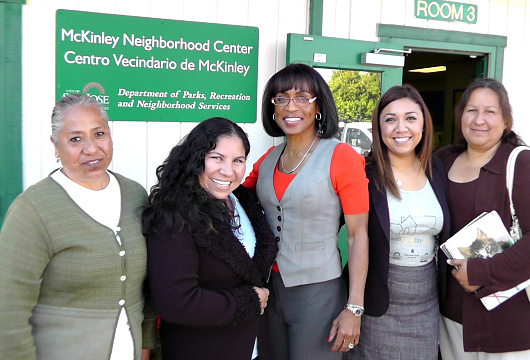 We applied a lot from what we learned in the Spartan Fund and our finance classes,” Gonzales said. The Financial Navigator Student Managed Investment Fund, also known as the Spartan Fund, was established with a $100,000 donation from Nancie Fimbel, and her husband C. Edward Van Deman, CEO of Financial Navigator. Fimbel, who capped a 28-year career at SJSU by serving as acting MBA director and senior director of development for the Lucas College and Graduate School of Business, wanted to give back to the university. Students manage the $50,000 Spartan fund using 12 Bloomberg terminals in their classroom. They’ve raised the fund to $52,000 in just six months. Next up for the Spartan Gold Team is the national competition on April 15 in Atlanta. A win there will send them to the Global Final, where they’ll face teams from the Europe and Asia Pacific regions. 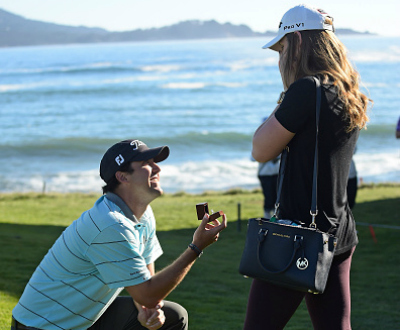 Mark Hubbard proposes to his girlfriend Meghan McCurley on the 18th green during the first round of the AT&T Pebble Beach National Pro-Am (photo by Chris Condon/PGA TOUR). Love is in the air for two Spartans at the 2015 Pebble Beach Pro-Am. 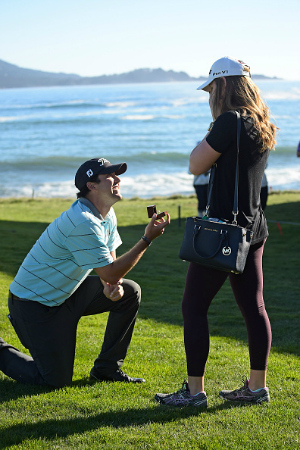 PGA pro Mark Hubbard, ’11 Business Management, surprised former swim team standout Meghan McCurley, ’12 Kinesiology, with a marriage proposal on the 18th green Feb. 12. “I felt like I had to do something different than just take her out to dinner or something,” Hubbard told the San Jose Mercury News. For McCurley, the first sign came when she was alerted to the video board, which was flashing, “Meghan, Will You Marry Me?” Then Hubbard went down on one knee, and she said yes! The couple has yet to set a date and venue. A return to Pebble Beach might be worth considering. They’ll find many fellow Spartans working there. The SJSU/Pebble Beach Special Event Management Team is managing the concessions, chalets and skyboxes at this week’s tournament. And that experience often translates into full-time jobs at Pebble Beach Resorts for SJSU alumni. Students present their ideas at the Silicon Valley Innovation Challenge Showcase Nov. 19 in the Student Union (Robert C. Bain photo). Registering for classes at a university as large and complicated as San Jose State can be like solving a complex puzzle. That’s where the college scheduling application Saryan comes in. What used to take a few hours now takes a few minutes for the app’s 900 unique users. Created by student entrepreneurs Sargon Jacob, ’15 Business Administration, and Bryan Miller, ’17 Computer Science, the fledgling business won first place in the Best Overall Innovation category of the 2014 Silicon Valley Innovation Challenge. 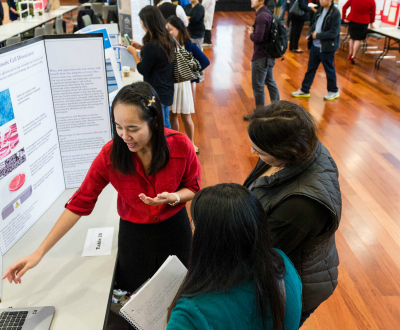 Organized annually by the Lucas College and Graduate School of Business, SVIC promotes creativity and entrepreneurship by generating and showcasing innovative business ideas. This year, the ideas ranged from the edible (FarmersAreHere tells you where to find farmers’ markets) to the technical (wireless charging for your electric cars). The Silicon Valley Innovation Challenge is a great event for students from all across the university, plus our international partners, because it gives them the opportunity to develop ‘ideation’ skills in an area of interest,” said Bill Nance, SVIC director and professor of Management Information Systems. This is exactly how it what happened for Jacob. He came up with the idea for his app based on a personal experience. After conducting research, he learned many other students struggled to find the right classes at the right times. He reached out to Miller for technical assistance, and to his professors for overall support. Sargon Jacob (center) with Dean David M. Steele and SVIC Director and Professor Bill Nance (Robert C. Bain photo). “I have been extremely fortunate to be able to get access to professors in the MIS department,” Jacob said. “Richard Sessions was extremely influential early on. He introduced me to Bill Nance, who has been very supportive. SVIC recruits more than twenty judges to evaluate all the ideas, provide feedback and select finalists as well as winners, many of whom drew their ideas from college life. Four electrical engineering majors refined their plan to provide blinkers to bicyclists based on their commutes. “Most of us bike from campus to our apartments after school, so we implemented things that we thought would be crucial for our safety,” said Vignesh Ramachandran, ’14 Electrical Engineering. And so Night Square was born, with assistance from Professor of Electrical Engineering Ping Hsu. 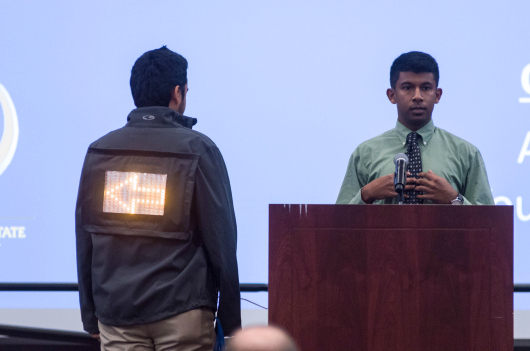 Ramachandran and teammates Aaron Romero, Pratiek Pathak and Travis Johnson designed the flexible 15-by-15-inch LED display for bicyclists to wear on their backs, making the bikers more visible at night. Vignesh Ramachandran presents Night Square during the Elevator Pitch Competition (Robert C. Bain photo). The Night Square prototype was an eye-catcher at the SVIC Showcase Nov. 19 in the Student Union Ballroom, and it received second place in the Best Overall Innovation category. The team has big dreams for Night Square. His thinking reflects the Silicon Valley Innovation Challenge’s goals. “Students learn how to present their ideas to experienced innovators and entrepreneurs, who provides feedback they can use to enhance or extend their initial ideas,” Nance said. Posted Dec. 9 by the Silicon Valley Business Journal. Due to its presence in Silicon Valley, San Jose State funnels plenty of business and IT students to local companies. 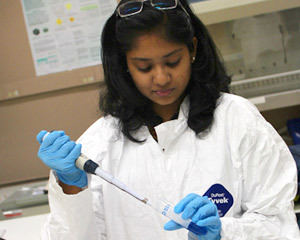 The process is facilitated by the school’s Silicon Valley Center for Business Solutions, which helps “small, medium and large sized companies with their business and technical challenges.” The center serves as a liaison between students and local companies, with faculty members leading the connections. 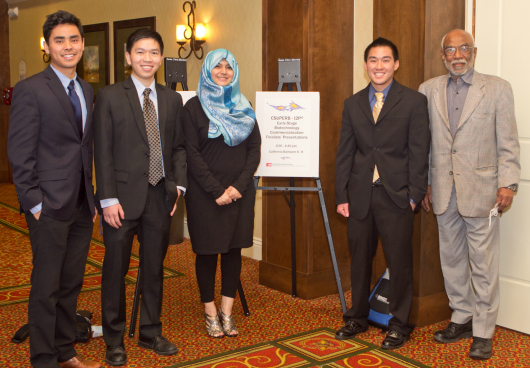 SJSU’s I2P team included Jared Oliva, Tu Nguyen, Maleeha Naqvi, Kyle Tang and their adviser, Professor Guna Selvaduray (CSU Public Affairs photo). Hurt your elbow? Can’t lift your backpack? SJSU students have created a forearm support device perfect for this situation and they are well on their way toward realizing their dream of transforming their idea into a business opportunity. 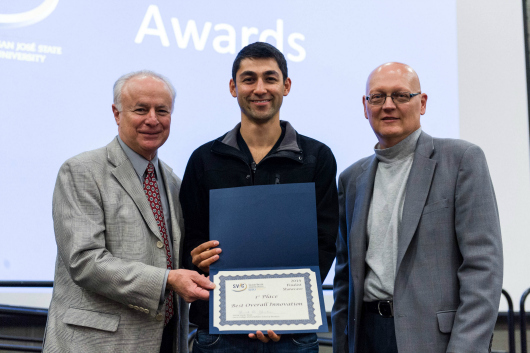 This month, they were finalists in the CSUPERB-I2P® Early-Stage Biotechnology Commercialization Challenge, part of the 21st Annual CSU Biotechnology Forum right here in Silicon Valley. 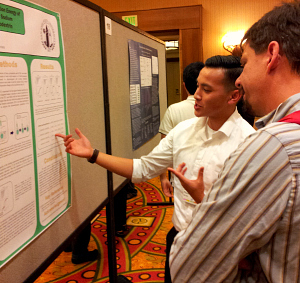 Duc Pham, ’15 Biochemistry, presents his poster to San Francisco State Professor George Gassner (Daryl Eggers photo). The forum is a networking and professional development opportunity for students, faculty members and industry professionals. Everyone gathers for workshops, meetings, award presentations and poster sessions. For example, Professor of Chemistry Daryl Eggers moderated a bioengineering reception to bring more engineers to the forum, which is quite interdisciplinary, including fields like kinesiology and physics. This includes SJSU’s I2P (Idea to Product) team. Three members are biomedical engineering majors, a fourth is studying business administration and a fifth is majoring in history. Together, they presented the “Exo-Arm,” a simple, light but effective device designed to help people with limited mobility at the elbow carry objects weighing up to 30 pounds. This product addresses the gap in the market between robotic exoskeletons and traditional slings,” said Jared Oliva, ’14 History. 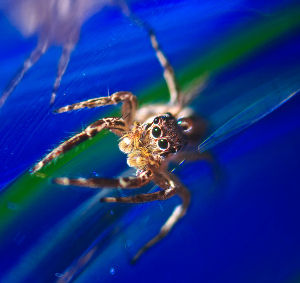 An exoskeleton is an external skeleton that supports and protects an animal, like this spider. The Exo-Arm would also strengthen the human arm. The engineering students built the prototype, while the business and history majors developed the branding and business plan. Their adviser was Professor of Material and Chemical Engineering Guna Selvaduray. Tech Futures Group also provided guidance. The main goal of the I2P competition was entrepreneurship education, which means helping students learn what is needed to transform a life sciences idea into a commercial product. 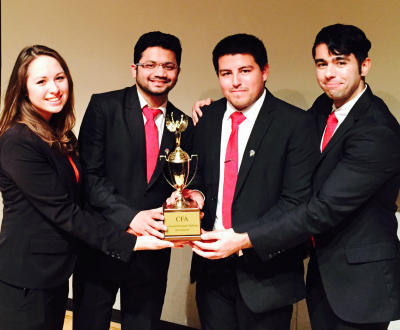 “Out of the 20 teams in the preliminaries, San Jose State made it to the final round. Juggling final exams, part-time jobs and, for one team member, a newborn baby, we worked hard on our final presentation in front of the I2P judges,” Oliva said. So valuable that the team is keeping design details under wraps. When Klarence OuYang, ’13 Management Information Systems, first read the description of the MIS major he thought, “It was like it was written for me.” He packed up his belongings and left San Diego for San Jose—but not without help. 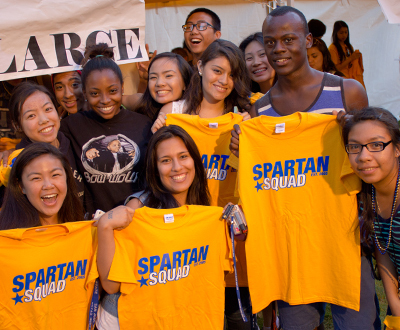 SJSU admitted over 1,000 transfer applicants for spring 2014. 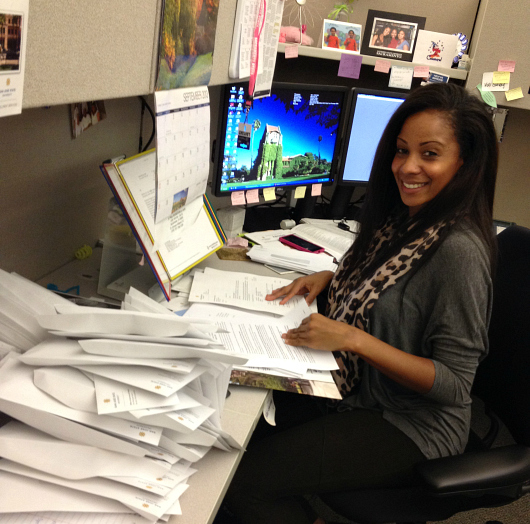 Admissions Communications Counselor Kali Guidry helps collate all those acceptance letters (Enrollment Services image). 1. Alumna Ranae Moneymaker is a stunt double for Jennifer Lawrence in “The Hunger Games,” the sequel “The Hunger Games: Catching Fire” and “X-Men: Days of Future Past.” A nutritional science major from 2005 to 2010, Moneymaker mastered flips, falls and overcoming fear as a member of the San Jose State gymnastics team. 2. San Jose State is congratulating over 1,000 transfer applicants recently admitted for spring 2014. In addition, thousands of students from across the country and around the world are applying now for fall 2014. Our Enrollment Services Facebook page makes it easy to stay on track. 3. 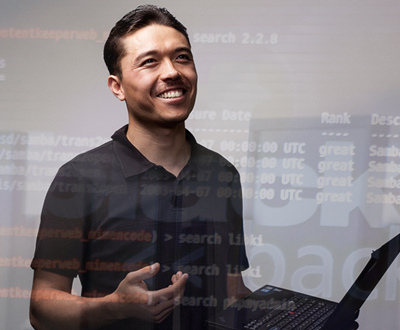 SJSU features a top accounting program. The Lucas College and Graduate School of Business ranks seventh among 30 California’s public and private schools in terms of alumni pass rates on the certified public accountant exam. This is according to a Sacramento Business Journal analysis of National Association of State Boards of Accountancy data. 4. ESPN featured Spartan Racing, San Jose State Judo, Animation/Illustration and Grupo Folklorico Luna y Sol during the national broadcast of Spartan football’s Sept. 27 game. Check out this behind-the-scenes reel and join us as we look forward to the Homecoming Game Oct. 26. 5. Kirandeep Deol, ’14 biochemistry, was one of 255 students selected from a pool of nearly 4,000 applicants nationwide for the AMGEN Scholars Program at the Massachusetts Institute of Technology. She has conducted research at MIT and attended a symposium at UCLA to meet other AMGEN scholars and hear from leading biotech scientists. Through CommUniverCity’s Money Matters and Marketing Smarts programs, SJSU business students have helped three micro-entrepreneurs who own a cleaning business, a taco stand and a daycare (Bobbi Makani photo). Wells Fargo has made a $20,000 gift in support of CommUniverCity’s Money Matters and Marketing Smarts programs. Through these initiatives, more than 300 San Jose State students have conducted financial and tax literacy workshops for 1,300 Central San Jose residents of all ages over the past seven years. SJSU students teach the curriculum in English and Spanish, the main languages spoken in the community. 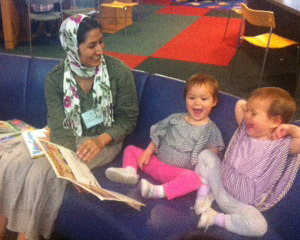 Nearly 60 percent of Central San Jose residents speak a language other than English at home, and 68 percent earn less than the $84,000 required in Santa Clara County to meet basic needs. 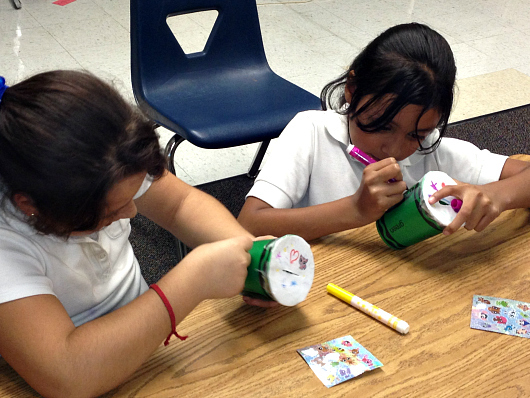 Youngsters create coin banks as part of CommUniverCity’s Money Matters and Marketing Smarts programs (Viridiana Cisneros photo). Under the direction of professors Bobbi Makani and Marilyn Easter, SJSU business students have also provided marketing consulting services to three women micro-entrepreneurs who own a cleaning business, a taco stand and a daycare. The marketing and decision sciences students gain hands-on experience and the business owners receive research otherwise inaccessible to them due to time constraints and language barriers. The effort has one more important fringe benefit. 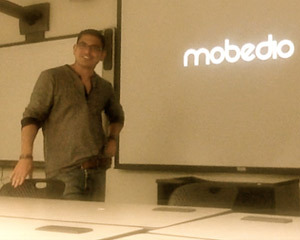 Students met with the entrepreneurs in the field and at San Jose State. “That’s a place I never thought someone like me would ever get a chance to set foot in,” said one of the businesswomen. CommUniverCity San Jose engages residents and students in service-learning projects focusing on neighborhood-driven goals through a cross-sector partnership with the City of San Jose, the residents of Central San Jose neighborhoods, and SJSU students. 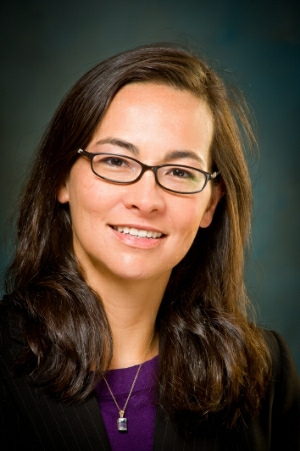 Professor of Urban and Regional Planning Dayana Salazar serves as executive director. The BioReady team is comprised of five biotech grads: Kira Dionis-Petersen, Dien Vo, Gavin McCann, Scott Marzano and Sheri-Michele Bachelor (photo courtesy of Scott Marzano). “Many laboratories currently perform ordering by paper, pen and phone calls,” said Scott Marzano, ’13 Biotechnology. This overlooked fact is at the core of a business idea Marzano and friends are poised to turn into a viable venture. The brainchild of five alumni of the master’s in biotechnology program, BioReady would automate the procurement and inventory management process for labs. The team placed first at the 2013 Silicon Valley Business Plan Competition organized by the Lucas College and Graduate School of Business. And now, the BioReady team is one of three from San Jose State heading for the final round of the Silicon Valley StartUp Cup Business Model Competition. StartUp Cup is an international initiative sponsored locally by Focus Business Bank, Meriwest Credit Union and West Valley College. 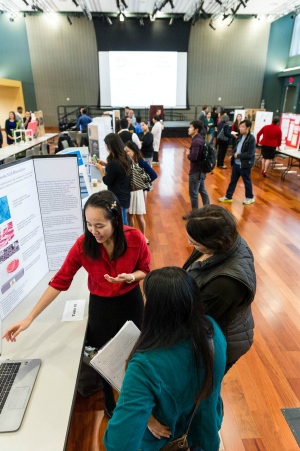 The SJSU teams — BioReady, AFK Gamer Lounge (video game LAN center and gamer bar) and Cranium Shield (x-ray protection for the head) — will make their pitches to judges Oct. 30. From a pool of seven finalists, judges will name first, second and third place winners Nov. 21. The contest offers no cash prizes, but that’s beside the point for BioReady. StartUp Cup and the SJSU business plan competition provide intense feedback and mentoring, resources more valuable than cash alone. What does the BioReady team do when they are not trying to build their own business? All five grads are gainfully employed at Agilent Technologies, Thermo Fisher Scientific, Life Technologies and Stanford University. SJSU held a reception Sept. 10 to thank Don and Sally Lucas, who have been lifelong supporters of the college. 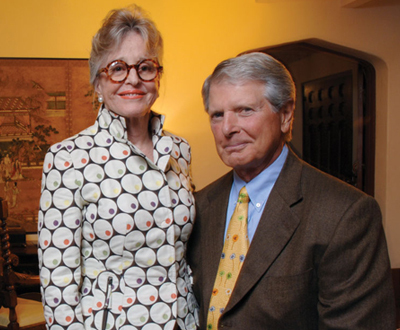 Don and Sally Lucas spent a lifetime giving to San Jose State. Now San Jose State is giving back. 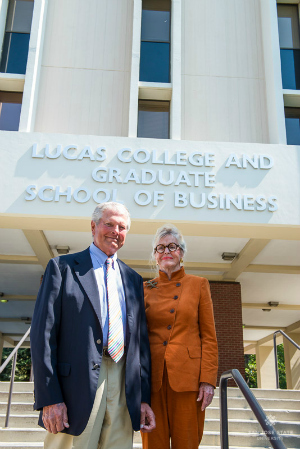 The couple joined Dean David Steele, President Mohammad Qayoumi, many more dignitaries, students, faculty and staff Sept. 10 to celebrate the naming of the Lucas College and Graduate School of Business. Students streaming in and out of classes in the Business Tower and Boccardo Business Center stopped to listen as speakers thanked Don and Sally Lucas, who graduated in the late 1950s from SJSU with bachelor’s degrees in marketing and primary education, respectively. The Lucases were the first donors to make a major gift to the university’s comprehensive fundraising campaign, which eventually raised more than $200 million for SJSU. “To be the first is not easy,” President Qayoumi said, thanking the couple for their “faith in the intangible power of philanthropy.” Dean Steele noted private giving supports programs that distinguish the college, which has maintained its “gold standard” accreditation for nearly a half century. Displaying a deep sense of modesty reflecting his rise from humble beginnings, Don Lucas said, “giving is a basic human need, like eating and sleeping” and then thanked SJSU for providing the foundation that allowed him to complete his education, experience early success as a car salesman and then build on that to the point when he could give back. As implied by recent graduate Jasmine Rezai, who spoke at the Lucas event, it’s tough to know when you’re a busy student just how much is going on to ensure support is in place for the programs that make the college exceptional. This was certainly true at the Jack Holland Student Success Center. As dignitaries prepared to continue the festivities by celebrating the opening of the center — named for a much loved late faculty member and funded in part by donors — students, tutors and academic advisers had already filled every available seat, working away and laying the foundation for the next generation of Spartan supporters. Posted by the San Jose Mercury News Aug. 12, 2013. Coming from almost anyone else, a proposal to move people from San Francisco to Los Angeles through a tube in half an hour would have been dismissed as a crackpot idea. But after tweeting that he “pulled an all-nighter,” Tesla Motors(TSLA) CEO Elon Musk on Monday unveiled much-anticipated details of his proposed Hyperloop, and transit experts were among those intrigued. While the concept has not been proved, Rod Diridon, executive director of the Mineta Transportation Institute and a longtime champion of high-speed rail, praised Musk for his vision. The futuristic transit system would consist of low-pressure steel tubes with aluminum capsules or pods supported on a cushion of air, and capable of speeds more than 700 miles per hour. The tubes, which would be outfitted with solar panels to power the system, would be built on elevated tracks alongside Interstate 5. Taking direct aim at the state’s plan for a $69 billion high-speed train, Musk said the Hyperloop would cost merely $6 billion and move people between San Francisco and Los Angeles in about a half-hour rather than three hours. Musk, who has a bachelor’s degree in physics, is the CEO of both electric-vehicle maker Tesla Motors and SpaceX, which is developing rockets and spacecraft for missions to the International Space Station and other planets. He lives in the Bel Air neighborhood of Los Angeles and regularly commutes to Tesla’s Palo Alto headquarters by private plane. He has been thinking about the Hyperloop for almost two years, inspired by his dismay at the state’s plans for high-speed rail. During Tesla’s earnings call last week, Musk said he’d wished he’d never mentioned the Hyperloop, given his demanding responsibilities at SpaceX and Tesla. But on Monday he said he may build a prototype and is willing to invest money and form a company to do it. He also welcomed others to help flesh out his idea and improve it. Musk, whose net worth is estimated to be roughly $7 billion, said he would invest some of his personal wealth into the project. Roughly a dozen engineers from the aerodynamics teams at Tesla and SpaceX already have worked on the Hyperloop idea, he said. Musk sees Hyperloop as a fifth and new form of transportation after planes, trains, cars and boats. James E. Moore, director of transportation engineering at the University of Southern California, said Musk’s idea is not far-fetched. But Moore cautioned that Musk may be underestimating cost, as well as supply-chain questions and the willingness of capital markets to invest. But Diridon noted that the idea of magnetic levitation in transit has been around for decades. Lockheed Martin studied the idea of high-speed “maglev”corridors in Southern California a decade ago. California’s proposed high-speed rail system would connect the Bay Area with Los Angeles in about three hours at speeds of 200 mph. The first track scheduled to be built is a 29-mile section from Merced to Fresno, and nonstop service from the Bay Area to Los Angeles would not begin until 2029 at the earliest. The total cost for the project is estimated at $69 billion, to be funded by state bonds, federal support, cap-and-trade funds and private investments. For more information, go to www.teslamotors.com/blog/hyperloop. Feedback is welcome athyperloop@teslamotors.com. Two SJSU experts — a mechanical engineering professor and a transportation expert — comment on Elon Musk’s latest transportation venture (image courtesy of Tesla Motors). Posted July 19 by the Silicon Valley Business Journal. All week, the buzz around the proposed Hyperloop transport system has been growing steadily as the world tries to figure out just how commuters are supposed to get between San Francisco and Los Angeles in 30 minutes. In typical Elon Musk build-the-suspense fashion, the Tesla Motors and SpaceX CEO will make us wait until Aug. 12 to reveal plans for his ultra-fast transport system. That leaves us plenty of time to speculate about the feasibility of this potentially transformational idea. So far, most experts theorize that Musk will employ a pneumatic tube system to make the Hyperloop a reality, though he has denied this on Twitter. Think of the plastic cylindrical container you use to transport documents at a drive up bank teller and you’ve got the basic idea. This isn’t exactly a new concept, said Phil Kesten, a physics professor at Santa Clara University. “You’d have trains, kind of like bullets, shooting up and down a tube,” said Kesten, who explained that friction would be minimized through a magnetic levitation system keeping the sides of the train from hitting the tube. After some quick number crunching, Kesten calculated that a Hyperloop train would have to accelerate at a rate of 0.3 Gs for at least 15 minutes to live up to Musk’s promise of a SF to LA commute of 30 minutes. To put that into perspective, when a regular commercial airplane takes off, passengers experience 0.2 G, but for a very short period of time. “After 15 minutes at 0.3 G, I suspect most of us wouldn’t be very happy,” Kesten said. 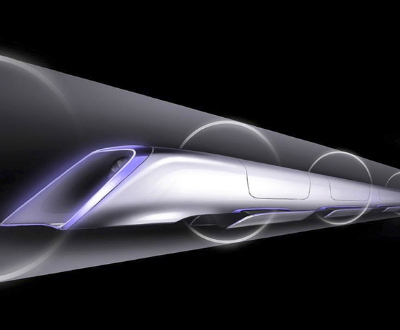 Kesten estimated that to make the Hyperloop work, the train would have to move at a peak speed of 5,000 miles an hour. That’s about 10 times the speed of a commercial jet. 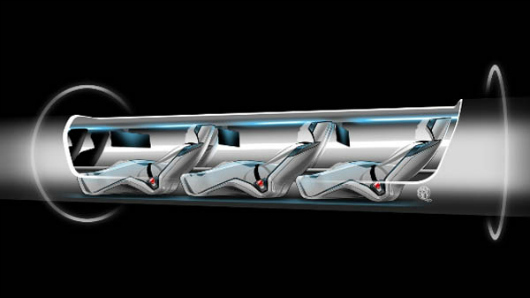 While it may be physically uncomfortable, the Hyperloop is not theoretically impossible, said Burford Furman, a professor in the department of mechanical and aerospace engineering at San Jose State University. “There’s nothing here that violates fundamental physics,” said Furman, who is an expert in the area of automated transit networks. Furman explained that if you use automated transit technology as a model for how the Hyperloop would unfold, the issue of cost will inevitably pose a big roadblock. “The big costs are in the guideway, the thing that supports and guides the trains. And the larger the structure, the more it costs,” he said. Until we learn more from Musk himself, it will be difficult to reconcile this issue with his statement that the Hyperloop could be built at one-tenth the cost of California’s proposed high-speed rail system. High-speed rail in California itself is an embattled project, facing severe scrutiny and criticism for its cost, environmental impact and a host of other factors. But at least the ball is rolling for that effort, said Rod Dirdon, executive director of the Mineta Transportation Institute, a San Jose-based research institute focusing on intermodal surface transportation issues. Diridon said that Musk and his Hyperloop face an uphill battle in terms of securing project clearance. 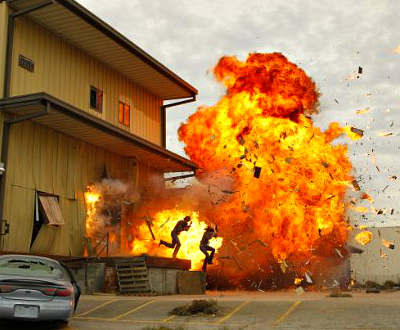 That would have to come after extensive engineering studies and tests. Diridon said Musk must create a complete concept, build a test track, build a demonstration track to work out the kinks and acquire federal safety certifications as well as environmental clearance. Only after that is complete can the project move forward with public hearings and obtaining land use rights from cities. Diridon paints a dizzying picture of the red tape and bureaucracy that has mired the high-speed rail project in California. The initial efforts to get environmental clearance started in 1996 and took until 2008 to approve only the route, station locations and mode of transport. Even then, the bullet train only has project clearance for the portion of the Central Valley, Diridon said. Elon Musk would be building his Hyperloop from scratch with no prior models to draw on at the scale he is envisioning. Diridon suggested the time frame for the Hyperloop would be at least that of the high-speed rail project, and that’s being extremely generous. While the challenges facing Hyperloop may be discouraging, Diridon stressed that he is supporting Musk’s efforts and anyone else who is looking at solutions beyond our current transport system. Hundreds of names were announced across all of the different business concentrations, as graduates each had their moment on stage (Stan Olszewski photo). The Event Center lights dimmed to almost complete darkness Friday morning. With a guiding spotlight, the College of Business and the Lucas Graduate School of Business faculty and convocation speaker Wanda Ginner, ’68 Business Administration, proceeded down the center aisle to the stage. Then with much applause and excitement, the class of 2013 made their entrance, filling up rows of chairs. Convocation speaker Ginner, a semi-retired certified public accountant and consultant, later spoke of the fulfillment that she received in giving back to her university and this college, including influencing her husband and friends to get involved, too. Student Address speaker Jasmine Rezai, a Gary J. Sbona Honors Program participant, spoke of her transformation from an 18-year-old girl to the 23-year-old woman standing before them and all of the knowledge, experiences and friendships she has gained over the years. “As life throws you curve balls, I hope you remember your times at San Jose State,” she said. Hundreds of names were announced across all of the different business concentrations, as graduates each had their moment on stage. In the meantime, with a bit of prompting, half of the seated graduates attempted to perform the wave, the famous audience cheer perfected by No. 1 Spartan Athletics fan Krazy George Henderson. From the front row to the back, they sprang onto their feet and raised their arms freely, stretching toward the sky. They delighted the audience when they succeeded. Then when the last name was read aloud, there were shouts of joy and celebration among the graduates, culminating in an even larger wave. 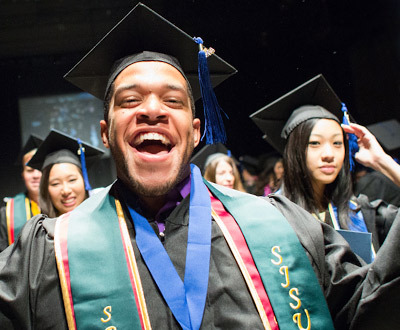 In a recent survey, SJSU asked new grads if they would like to send a shout-out to family and friends. Here are some of the responses we received from business majors of various concentrations. More will be shared at Commencement. David M. Steele, dean of the SJSU College of Business, was a keynote speaker at the 2012 Portland International Center for Management of Engineering and Technology Conference (photo courtesy of PICMET). Managing a bunch of complex projects at work? Looking for a great overview of innovation and entrepreneurship? 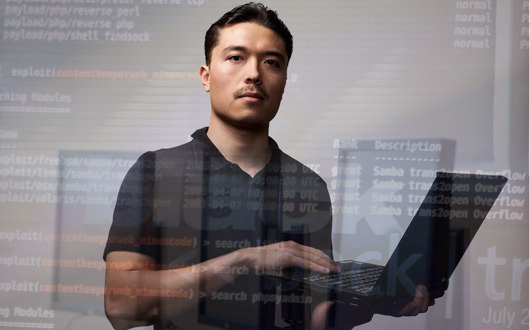 Trying to analyze data from your company’s social networks? Then you might want to check out this event. Leading experts from academic institutions, industrial corporations and government agencies will gather July 28 through Aug. 1 in San Jose for the 2013 Portland International Center for Management of Engineering and Technology Conference. Yes, this conference is in San Jose, and will be co-sponsored by San Jose State’s College of Business. But the event’s named for that friendly city to the north because the conference originated in 1989 in Portland, Ore.
Open to the public, the short courses will be held July 27-28. Registration fees begin at $395 per course, and get you a discount on conference registration (click on “Short Courses”). Speakers will include SJSU instructors Anu Basu, Chunlei Wang, William Musgrave and Oliver Yu. 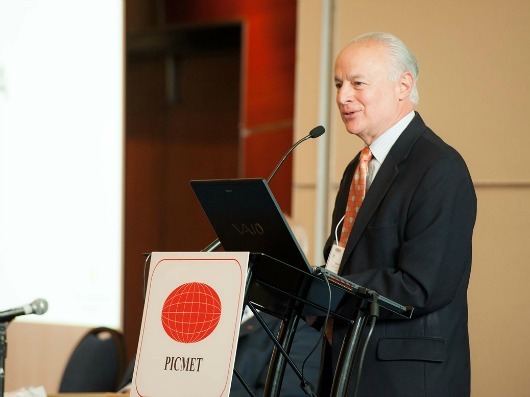 PICMET is a non-profit organized to disseminate information on technology management through international conferences. Register now for the third annual San Jose State University Economic Summit presented by Bridge Bank in association with Hopkins & Carley. The event, to be held May 30 in Morris Dailey Auditorium, will focus on the analysis and forecast of economic activity both at the local and national levels. 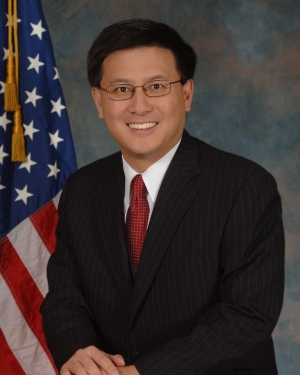 California State Controller John Chiang will provide up to date information on the political and fiscal landscape of our state. Charles Gay, president of Applied Solar and chairman of the Applied Solar Council at Applied Materials, will offer insight into the solar energy industry and how it can impact economic growth at the national and global level. Finally, Christopher Thornberg, founding partner of Beacon Economics, will round up the panel of notable experts and deliver a lively analysis of the latest economic trends as well as a forecast of economic growth and labor market activity. The event will provide its intended audience, small and mid-size business owners and executives, with relevant information to make educated decisions. 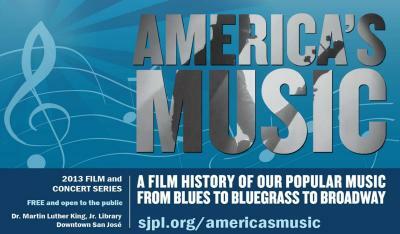 The event is free of charge and open to the public. Registration and a light breakfast will begin at 7:30 a.m., followed the presentations and a question and answer session beginning at 8:15 a.m. The event is organized by the Center for Banking and Financial Services within the College of Business. Register now. Camille Johnson from the College of Business and Juneseok Lee from the College of Engineering have received the SJSU Research Foundation Early Career Investigator Award for 2013. Their selection is made at the recommendation of the Early Career Investigator Subcommittee of the Research Foundation Board of Directors. “The SJSU Research Foundation Early Career Investigator Award recognizes tenure-track SJSU faculty who have excelled in areas of research, scholarship or creative activity as evidenced by their success in securing funds for their research, peer-reviewed publications and other scholarly and creative activities at an early or beginning point in their career at SJSU,” Provost and Vice President for Academic Affairs Ellen Junn said. 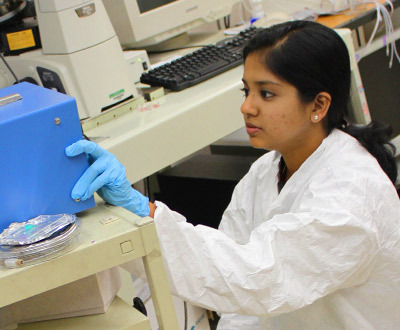 The SJSU Research Foundation has established two Early Career Investigator Awards in order to encourage participation beyond those colleges where large numbers of faculty have traditionally participated. One award goes to a faculty member in the Colleges of Science and Engineering and another is made to a faculty member from all other colleges. Each awardee will receive a cash award of $1,000 to be used at their discretion. Camille Johnson, in her sixth year at SJSU, has demonstrated an outstanding record of research and scholarship in her field of social psychology. 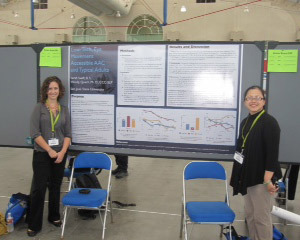 Since joining the Department of Organization and Management, Johnson successfully competed for a three-year National Science Foundation grant totaling $131,204 that has provided funding to furnish a behavioral research lab in the College of Business, furthering the research capabilities and infrastructure of SJSU’s Behavioral and Applied Research Group. In addition, Johnson has established a strong basis for student mentoring with several of her students currently working as active researchers in industry and graduate school. Johnson has nine peer-reviewed publications, including two in top-tier journals as a first author. She has not only furthered her own research agenda, but has actively participated in the extension and support of the research culture at SJSU by serving as a mentor in the College of Applied Sciences and Arts Grants Academy, managing a research participant pool for all faculty, and organizing a series of research development workshops, all which serve to promote collegiality, research partnerships, and research productivity at SJSU. 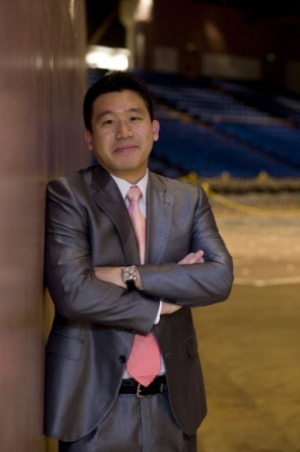 Juneseok Lee, in his fifth year at SJSU, has been tremendously productive in his field of water resources engineering with major research focus on sustainability issues of water resources and infrastructure management. Since joining the Department of Civil and Environmental Engineering, he has secured $385,399 to support his research. His funding sources include the National Science Foundation, the California Water Service Company and Hewlett-Packard. As an assistant professor, Lee has published seven journal articles including in The American Society of Civil Engineers (ASCE) Journal of Water Resources Planning and Management, The Journal of American Water Works Association, and The International Water Association: Water Supply, all highly respected journals in the area of water resources engineering. In addition, Lee has made a total of 21 presentations at professional society meetings including the American Society of Civil Engineers conferences of which 10 were published in proceedings, and has delivered five invited talks to various professional research societies. Lee obtained his California Civil Engineering Professional Engineer License in 2011 and was selected as the 2011 ASCE Fellow for Excellence in Civil Engineering Education. Lee is a nationally and internationally recognized expert in his specialized area of sustainable water resources and infrastructure management.